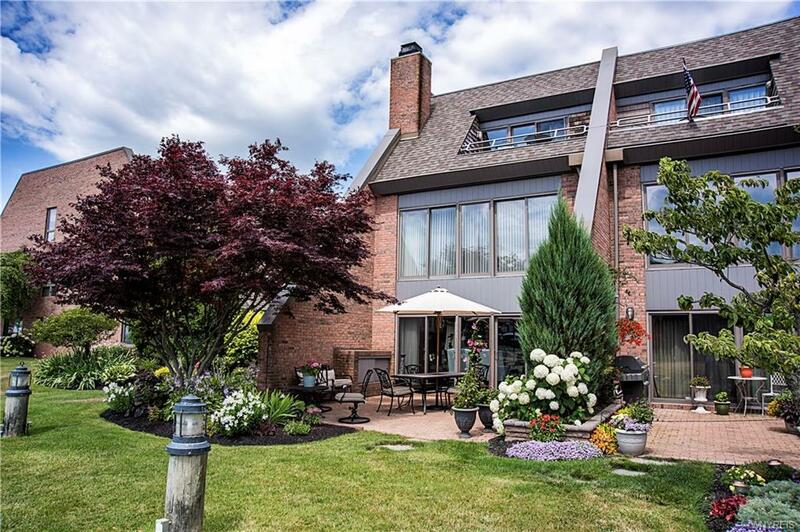 Fabulous end-unit townhouse with views of the Erie Basin Marina. This condo/townhouse features 2400 sq. ft. with 3 bedrooms and 2.5 baths. Enter in the tiled foyer with large coat closet and half bath. Spacious open floor plan, perfect for entertaining. Kitchen with granite countertops, built-in appliances, and island with breakfast bar. Living room with views of fountain and patio. Cherry hardwood floors throughout with beautiful inlay. Master bedroom with built-in cabinetry, walk-in closet and ensuite glamour bath with steam shower. Loft area, a perfect fit for a family room. The third level feat. 2 bedrooms w/ built-ins and second glamour bath and steam shower. Balcony views from second bedroom overlook downtown. 2nd flr laundry & attached garage. A great location!